With so many online poker players opting for many other variants of poker, mixed games are becoming more popular, so is the need of knowing all the rules and tricks. HORSE is also called ‘mixed’ poker because it is an integration of the five most popular types of poker games, which are paid in a rotation. Knowing how to play HORSE will make you shine among other players as it shows that you are skilled at playing multiple variants of poker. Once you have mastered and perfected your strategy, you can play the advanced game of HORSE, whether it is through online poker platforms, the World Series of Poker or at a land-based casino. Ensure that you grasp all the rules, tips and cautions. During a game of HORSE, each variant is played for a specific amount of time, usually one round. Also, each variant must be rotated only once. 1. All players must agree to the terms of rotation, before the game kickstarts. 2. If a player wants to add or remove a game from the rotation, one must get approval from the others. 3. Each variant must be played for one, complete rotation and every player must get a chance to be the dealer. 4. In games like Stud which have no dealer button, the dealer button must go round the table as it would in Hold’em, so as to keep track on the number of hands played. 5. Players are expected to play all variants. HORSE is played as one round of its variants, one by one. Usually, the game starts with Fixed Limit Hold’em, followed by the Fixed Limit Omaha Hi/Lo, Seven Card Stud Low (Razz), Seven Card Stud (High Only) and ends with Seven Card Stud Hi/Lo. Once the players complete the Seven Card Stud Hi/Lo, the game restarts at Fixed Limit Hold’em and the cycle continues. If you are not sure on which game is being played, check the top border window to confirm. Note that the button is frozen when switching from Omaha Hi/Lo to Razz so that no one skips blinds or pays extra blinds. You should also remember that all poker variants of HORSE are played ‘Fixed Limit.’ meaning that the limits are kept the same from the start, until the end of a game’s rotation. If the fixed limits are £10/£20, they will stay the same through Hold’em and so on. Since HORSE has a fixed limit format, all players are required to place all Bets and Raise in a consistent increment that is proportional to the stakes of the table. For example, at a £2/£4 table, you have the option of a lower stake of £2 or an upper stake of £4. Therefore, if you decide to bet on the lower stake, the bet must be equal to £2 and can be gradually increased. The maximum number of permitted raises on each round is 4. Hold’em has the Fixed Limit format. In this game, a player has 2-cards face down and 5 community cards from the table. You will then proceed to make the best 5-card poker hands using either of the cards available to you. Omaha poker shares the same rules with Texas Hold’em. In this case, however, players receive four cards each, which they must combine with 5-community cards. Also, players are supposed to use 2-hole cards and 3-community cards to make the best hand that they can. As in Razz, each player will get 7-cards throughout a seven-card stud hand. The highest ranking poker hand wins. There are also no community cards. Although similar to 7-Card Stud, Razz aims at getting the lowest ranking poker hand. 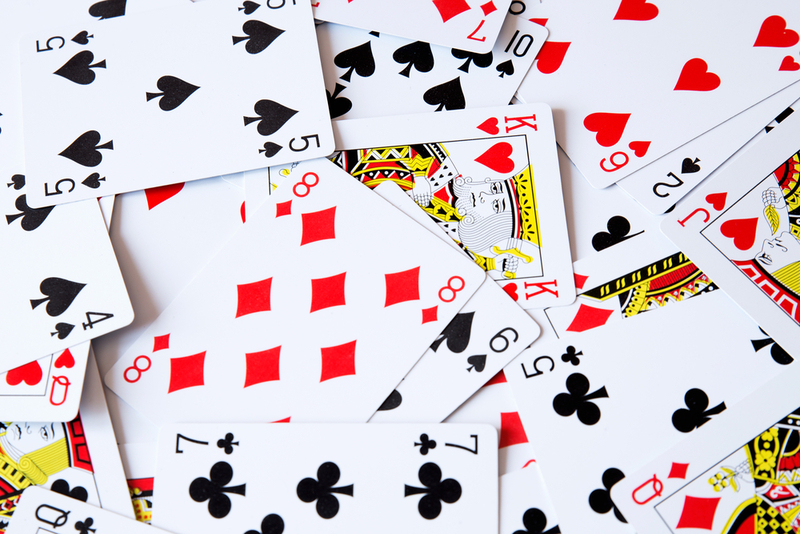 Also known as Hi/Lo, 7 Card Stud Eight awards the player who has the highest ranking 5-card hand and the one with the lowest ranking (the hand must not have a number greater than 8).